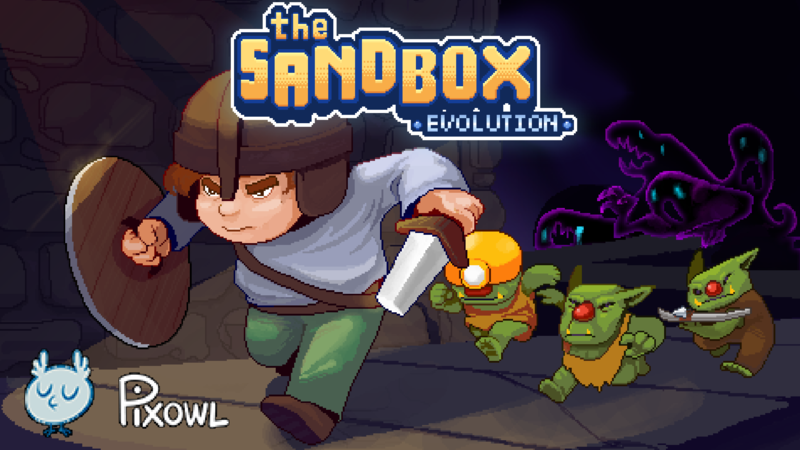 Download now a new update for The Sandbox Evolution. MEET BATTY AND PUCHY, THE NEW RUNNER MODE CHARACTERS. THEY BOTH LOVE TO FLY, EACH IN THEIR OWN UNIQUE WAY! ▪	Batty is a creature of the night. He flaps his wings to stay aloft. ▪	Puchy is the raddest dog in the hood. Her jet pack allows her to defy gravity. CRAFT YOUR OWN ELEMENTS! THE ULTIMATE SANDBOX GAME! + Element Maker: Create your own version of a set of 7 base elements! + Element Market: Share and sell your elements and gain a small percentage of each sale in mana! + Custom Elements Filter: Use your new elements to make your levels unique and special! Download Now! Create your own Dungeon-Crawler game with this new update! Ready to explore dungeons full of traps & enemies? - 5 Enemies: Goblin, Shield Goblin, Crossbow Goblin, Miner Goblin and Snake. - 2 new Hazards: Rotoblade and ElectroCoil. - And more: Jump Pad, Moving Platforms, Redirector, Teleportal, Destroyable Vase, Knight Coins. Create your own runner game with 2 new Heroes! Create your own runner game with 2 new heroes and create extra long maps with collectable items and tricky challenges! Download & Play now our new update!